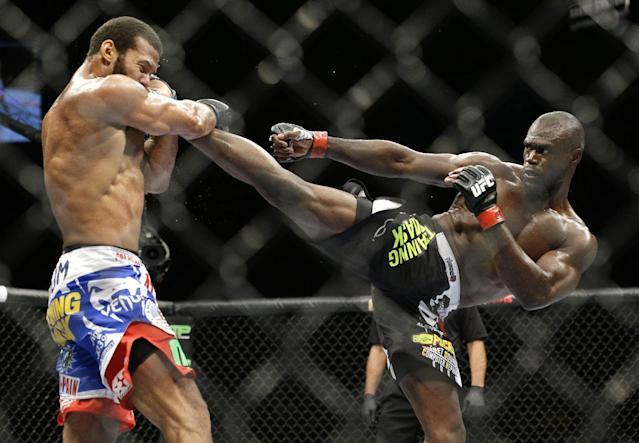 Uriah Hall won his second consecutive fight at UFC 175 Saturday night against Thiago Santos. The New Yorker won a clear decision, made more impressive by the fact that he had to fight most of the contest with a badly broken toe. Hall and Santos were on their way to an exciting kickboxing bout when Hall broke a toe on his right foot. The Ultimate Fighter veteran gamely played off his pain and injury for the next two rounds but was visibly limping in the third. Santos was too hurt and exhausted to take advantage of Hall's injury and still got tagged more than he dished out in the third. Hall and his injured foot made it to the final horn and earned the win for his gutsy effort.